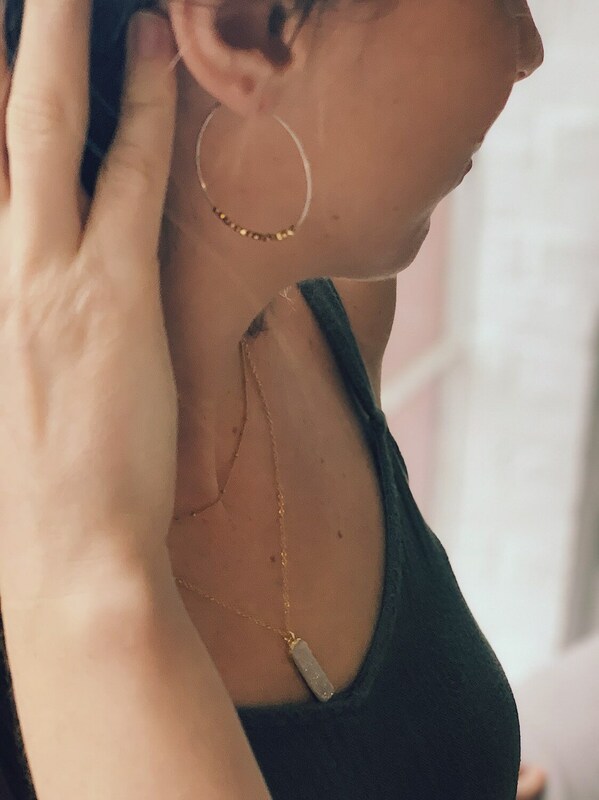 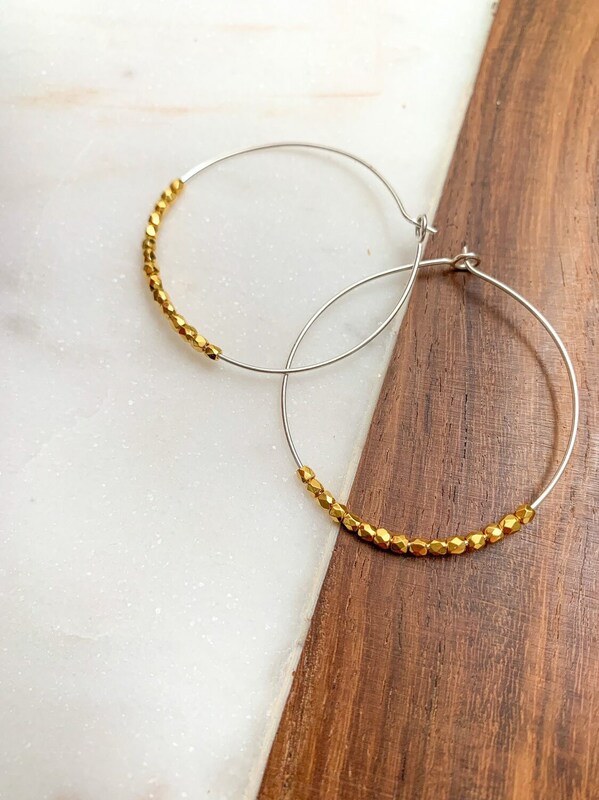 These lightweight hoop earrings are a must have accessory! 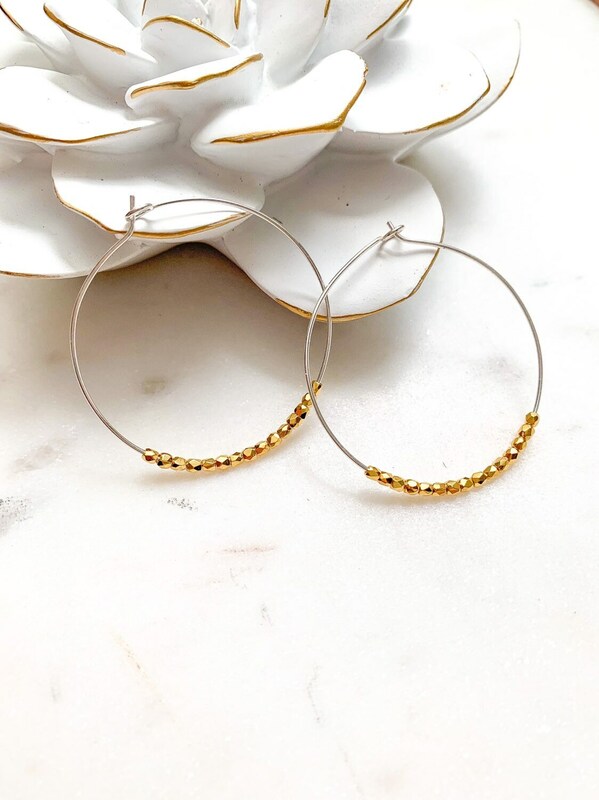 Tiny 2.5 mm faceted gold nuggets thread onto a thin and delicate sterling silver wire. 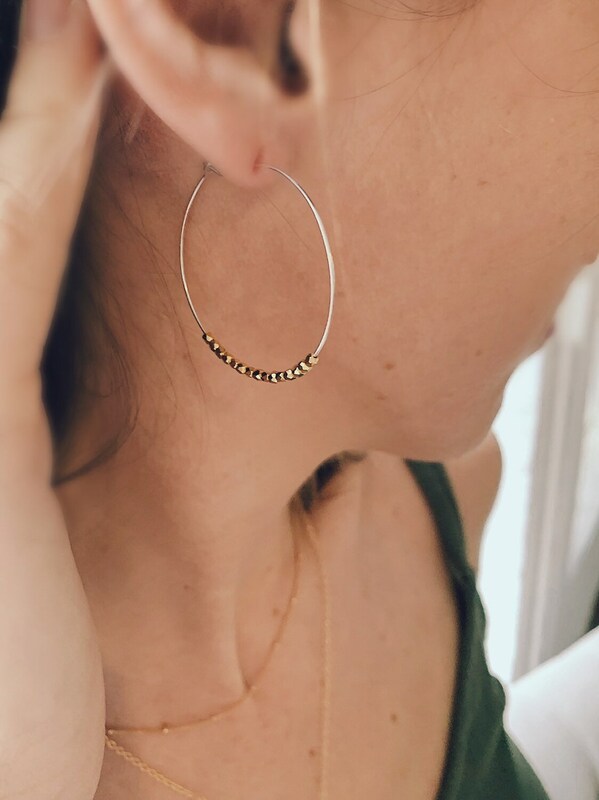 These earrings are so light weight, you'll hardly notice you're wearing them!